How much does size matter, really? When you consider power-packed lifestyles with oodles of travel, last-minute meetings, and the need to work from remote locations, it ends up mattering quite a lot. With time, laptops have evolved in both size and function, managing to pack in a great deal more functionality in compact chassis. 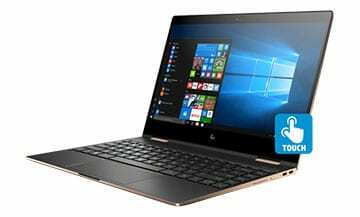 The latest trend on the horizon is that of 13-inch laptops that mark the sweet spot between the large (and rather bulky) 15-inch machines and the a-little-­too-tiny 12 inch laptops. Prominent computer manufacturers including Apple, Dell, HP, Microsoft, Razer, Acer and ASUS have started coming up with their offerings in this space. So, is this another of those trends that doesn’t last an entire season or a more permanent, disruptive invention with tremendous potential for laptop users? When you hear “13-inch laptops”, the first buzzword that rings in your ears is portability. There is little doubt that these machines will be infinitely more portable than their 15” counterparts, this rendering themselves more useful for anyone who needs to undertake considerable travel. This audience-group increasingly includes not only working professionals but also students, freelance writers, creative souls, and anyone struck with wanderlust. But as it turns out, 13” laptops also offer a myriad of benefits other than mobility. For one, many of these laptops can function as convertibles, which is an added boost to functionality and save you the cost of splurging on a separate device for tablet-occasions. How do you find the right 13-inch laptop for you? Well, we have prepared a ready list of the best 13 inch laptops 2019 that adapt to different needs and budgets. Browse through, find the device that gets you ticking, and get ready for a mini powerhouse that fuels your day with sprightly energy! Portability: Duh, you already knew that, didn’t you? But even so, the portability that comes with a 13-inch laptop can be surprisingly uplifting. It strikes just the right balance between a too-large 15” laptop and a too-small 11 Inch or 12 Inch laptop. Superior performance: Despite their compact build, most 13-inch laptops are high on performance. You can easily find a model with an Intel i5 or i7 CPU, 16GB RAM, 2TB of storage space, and battery backup ranging from 10 to 21 hours. Additionally, you can also avail of crystal-clear displays and features like RGB lighting, ergonomic keyboards and multiple usage modes. Flexibility of use: Thanks to their focus on compact performance, 13-inch laptops adapt well to different needs. For instance, they offer students the convenience they need to multitask on documents, decks, and internet-browsing. They also suit working professionals with adequate options for collaboration, sharing and connectivity. Tablet-friendly form: Since many 13-inch machines can be used as tablets, you stand to benefit from the extra mobility. It becomes easy to get the job done during travel, in cramped spaces, and on occasions when a full-purpose laptop is ruled out. Future readiness: As is true of latest technologies, 13-inch laptops usually come with contemporary parts/innards, features that take full advantage of the newest breakthroughs (read superior cooling), and the guarantee of being usable several years down the line. This makes them pragmatic choices despite the somewhat steep price tags ($830 to $2000 and above) that most of them come with. 13 Inch Laptop vs. 15 Inch Laptop: Isn’t Bigger Better? So, granted, a 13” laptop holds promise. But how does it compare to a 15” laptop that offers much more space for dazzle as well as function? Is portability the prime reason to go for the smaller 13-inch computer? When should you opt for the larger cousin? Let’s find out. For USB aficionados: Do you usually need a lot of USB ports to get going? Some professions demand constant plugging in to USB devices, memory cards, HDMI cables, the works. If you are in one of these fascinating professions, you will find a 15” laptop better suited to your lifestyle. Since 13” laptops are built to be compact and portable, many of them compromise on the external plug-ins on either side. For display dazzle: While many 13” laptops now come with spectacular displays, it continues to be the realm of 15” machines. It is still dicey to find a quality 13” laptop with a 4K, touch display, although this is easily available for 15-inch versions. Barring the above scenarios, 13-inch laptops are an ideal choice when you are prioritizing portable performance for multiple needs, ranging from the academic to the corporate world. When it’s an Apple you are considering, there are certain things you can blindly expect: top-notch performance, high-quality display, and aesthetics to boot. The Apple MacBook Pro 13-inch (Latest Model)​ is a wonderful 13-inch laptop that offers competent processing through an Intel i5 processor (up to 4.5GHz), 8GB RAM, and 2TB of SSD storage. Additionally, it also boasts of 10-hour battery life and a Touch Bar that dynamically adapts to your usage and understands familiar gestures like flicks and taps. Remarkably portable at 3lbs and 14.9mm (0.58”), this Apple MacBook truly marries style with scintillating function. The graphics support you get on this MacBook is integrated Intel Iris Plus Graphics 640. Even though you miss out on the finesse of a dedicated GPU, this configuration is pretty awesome. The quintessential retina display comes with True Tone technology for a meticulous rendering of colors and details. Add to that auto white balance, 500 nits brightness, and a wide color gamut (25% more than sRGB), and you have a winner. It is comfortable to work on graphics-intensive projects like streaming multimedia, editing pictures and videos, and creating original content. Catering to your USB needs on this device are two multipurpose USB-C ports that support data transfer speeds of up to 40GB/s. Not only that, but you can also use this port to connect to external displays (up to two 5K displays). This is incredibly handy in a compact machine, instantly transforming it into a gadget that supports larger-than-life presentations. The latest Apple MacBook Pro makes the most of its compact chassis and goes the extra mile to ensure convenience. For instance, you get fingerprint-led security and a backlit keyboard with butterfly mechanism. Perfect candidate for seekers of 13-inch-sized nirvana! Don’t let the sub-$1000 price cut into your expectations. The Dell XPS 13 9380 13-inch laptop is one of the most powerful in its class, powered by an eighth-gen Intel i7 processor, 16GB RAM, and 2TB of SSD storage. Keeping the laptop cool is “GORE Thermal Insulation”—the first ever in a laptop—that dramatically lowers the levels of thermal conductivity. The processing prowess is adequate and more to fuel all your everyday endeavors as well as CPU-intensive activities like coding or multimedia editing. Bonus: You get a 21-hour battery life! Now, that exemplifies inimitable. This 2.7lbs-machine (and 0.46″) stands out especially for a unique HD webcam located at the top of the display. The camera uses a 4-element lens and temporal noise reduction to deliver crisper audio and video, even in dim lighting (as you might expect on the go). The webcam is an innovative tip-off to the Dell Cinema that comes pre-packaged with this buy—a winsome combination of Waves MaxxAudio Pro, Dolby Vision, and Killer Wireless. The display you get on this laptop is truly astounding, especially for a 13.3” screen. Sample this: an InfinityEdge display, a screen-to-body ratio of 80.7%, 100% sRGB color gamut, 400 nits brightness, and a contrast ratio of 1500:1. You can even opt for the 4K Ultra HD resolution if you intend to push the envelope. Suffice it to say, Dell does a mean job of justifying the elegance you expect from this laptop’s good-looking, sturdy exterior—a build that’s both eco-friendly and energy-efficient. 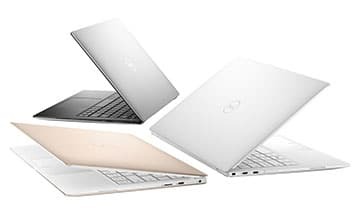 Note that this 13” laptop comes with one USB-C port, two Thunderbolt-3 ports, a microSD slot, and Dell Mobile Connect to seamlessly integrate your mobile phone with your laptop. 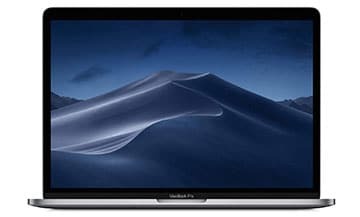 If you are hunting for a tad more affordable 13” laptop by Apple, you should check out the Apple MacBook Air 13-inch (Latest Model)​. 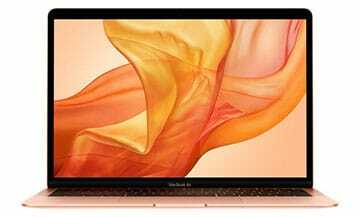 Powered by an Intel Core i5 processor like #1, the MacBook Air packs a mega punch with 16GB RAM, up to 256GB of SSD storage, a Retina display, and a Touch ID for phenomenal, fingerprint-led security. Moreover, it weighs only 2.7lbs and has a thickness of 15.6mm (0.61”). It is also fitted with two USB-C ports that you can use for multiple purposes—data transfer, external displays, charging. Like vintage Apple, this MacBook infuses the display with several wondrous surprises. You get 48% more colors than in the previous generation, borders that are 50% thinner than in earlier models, and terrific text clarity. You would be getting home a machine that loves both your eyes and the environment (for it is the first MacBook to be built from 100% recycled aluminum). Adding to the neatness of the display are features that make this laptop a breeze to use. Especially noteworthy is the upgraded keyboard with butterfly mechanism, a Force Touch trackpad for enhanced precision and responsiveness, and a battery that lasts for 12 hours. Interestingly, the auditory support is also exemplary, with 25% more volume than in older generations and twice the bass you have been used to. This adds to the joy of FaceTime even when you are out on the road, traveling. We daresay the newest MacBook Air is the perfect candidate if you seek a 13” Apple laptop with a brilliant display and, well, grace, but want to save a few bucks. Have you used a ZenBook before? If so, you are already familiar with the portability it offers, coupled with commendable features and functionalities. The latest ASUS ZenBook S13 UX392FN laptop promises to break new frontiers by offering the slimmest bezel (2.5mm or 0.09”) and the best screen-to-body-ratio (97%) with NVIDIA MX150 graphics. These are fantastic specifications indeed—the world’s best at present. 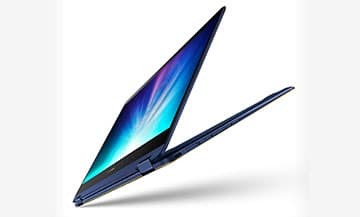 The construction of this newest ZenBook is such that the laptop will also become leaner overall (12.5% smaller than older 13.9” models), light as a feather (1.1kg or 2.42lbs), but sturdy (MIL-STD 810G). Given numbers like that, this laptop certainly looks set to become THE boss in the 13” space, especially for seekers of gorgeous multimedia experiences. But ASUS hasn’t catered only to the visual crowd. Deep within, it is driven by an eighth-gen Intel Core i7 CPU, 16GB RAM, 1TB of SSD storage space, and 15-hour battery life. This makes it one of the mightiest in its league, perfect for all humdrum and (most) intense processing tasks. Note that the battery supports fast charging so that you can power up to 60% in only 49 minutes. True to the reputation of ZenBooks, this one also rolls in several handy provisions for mobility. The one-touch access with Windows Hello neatly adds security to the convenience equation while the three USB 3.1 ports make collaboration hassle-free. As for the ErgoLift hinge on the keyboard, it promises to blend ergonomics with efficient cooling—a win-win for any machine that aims to please audiences on the go. The marketplace awaits the price tag that ASUS affixes to its most recent announcement. Meanwhile, the arena is flush with potential. Dependability has always been a priority with HP, and that remains intact with the HP Spectre x360 laptop—a sound, all-rounder 2.78lbs-computer designed to fuel your day, exactly as you like. The highlight of this device is its four-mode operation: laptop, tent, tablet, and stand. All the modes are easily navigated and have intuitive features to suit their USP. So, while the laptop mode lets you use the full-purpose keyboard and get full steam on at work, the tent mode is excellent for presentations. The stand mode works best for binge-watching (looking at you, millennial). Powering everything up is an Intel Core i7 CPU with 16GB of RAM, 2TB of SSD storage, and over 16 hours of battery backup. HP offers abundant options for customization based on your preferences. For instance, you could choose an i5 processor, 8GB RAM, and 256GB of storage to save a few bucks but still get along just fine at everyday tasks. In the realm of display too, HP does a satisfactory job. You get an FHD screen (touch) protected by Corning Gorilla Glass. This ensures you can carry your laptop along wherever you go without fretting about damage. A digital pen is included for you to take notes, doodle, or pretty much capture whatever you please. The integrated graphics support is for Intel UHD Graphics 620. The amount of attention that HP devotes to privacy is also noteworthy. Not only does the “privacy screen” lend itself to fret-free working in shared settings, but the IR camera and the fingerprint reader also elevate the semblance of security to zero-paranoia. If staying confidential is high up on your list when you hunt for a 13-inch computing partner, it is worthwhile to remember this. Wouldn’t it be wonderful to flip your way into an easier, more comfortable world, especially when you are traveling? 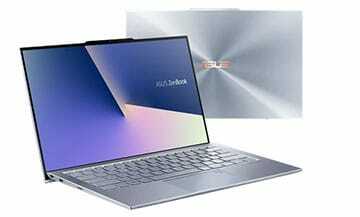 The ASUS ZenBook Flip S Touchscreen convertible laptop understands the 13-inch-audience brilliantly and brings to the table a 360-degree flippable display that gives you tremendous ease of use. You can use the stylus on the screen and pretend—or believe—you own a tablet. This ASUS ZenBook is tailored to creative professionals who can make the most of the active stylus (Windows Ink) for their design endeavors. But the FHD screen with enhanced sharpness, coupled with a thin and lightweight body (10.9mm or 0.42”; 2.4lbs), holds immense appeal for different audience groups. You stand to benefit from the optimal screen resolution of 1920 x 1080 and the wide-angle view of 178-degrees. The graphics support is for integrated Intel HD Graphics 620. Much like its new cousin, this ZenBook also offers fingerprint-led security, an ergonomically designed keyboard, and impressive auditory support (Harman Kardon). None of these features make the device any bulkier for all of them are attuned to the one guiding principle—portable performance. So, even the fingerprint sensor is among the tiniest in laptops but remarkably accurate. Get home the ZenBook for dual convenience—laptop plus tablet—without a shred of compromise in anything that matters. And that includes pretty much everything from performance and display to security and comfort. Whoever said 13” laptops aren’t cut-out for gaming didn’t meet the Razer Blade Stealth 13-inch gaming laptop. 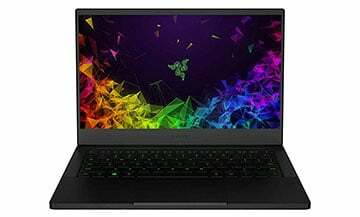 A maestro more than ready for any battlefield, this compact gamer is driven by an Intel Core i7 CPU, 16GB RAM, NVIDIA GeForce MX150 graphics with 4GB of dedicated memory, and 11-hour battery life for gaming on the go, on one charge per day. Not only does it have the inner drive to fuel your victories on the arena, but this computer also looks the part with its thin-bezel display, 100% sRGB color gamut, RGB-lighting keyboard (16.8 million color options), and a glorious anodized aluminum finish. The full High Definition screen with matte finish ensures brilliant rendering of colors and details, making your content pop. All this comes to you in a package that weighs under 3lbs, thereby guaranteeing portability without feeling weighed down. Seems too good to be true for real gaming laptop? Well, welcome to the world of 13-inch champions. This Razer Blade stays true to its mission in life through and through. In its portable form, this laptop manages to pack features that are typically seen only in 15-inch (and higher) gaming machines. You get Dolby Atmos sound played back on four stereo speakers for magnificent audio. The touchpad is highly responsive and precise—a Godsend both while gaming and performing regular activities like browsing the internet. Facilitating connectivity and device support on this computer are two USB 2.0 ports and two USB 3.0 ports. There’s also a Windows Hello infrared camera. If gaming on a 13-inch laptop has been something you have long wanted to do but fallen short of finding an ideal facilitator, this is where your search ends. There are reasons aplenty to justify that rather staggering price tag, but you might not ask for them once you set eyes on the Microsoft Surface Laptop 2. This beautiful laptop with a weight of only 2.76lbs is available in gorgeous colors including burgundy and cobalt blue, all the versions done up in a luxurious Alcantara material. The feel of the fabric is premium, and it helps this device transcend the boundaries from a computing partner to a style mate. 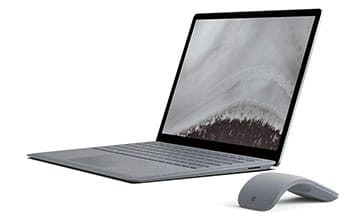 The Surface elegantly blends in the power of an eighth-gen Intel Core i5 processor and 16GB RAM with the near-perfect imagery of a PixelSense touch display. (Note that this laptop supports Intel UHD Graphics 620.) The cherry on the top is a battery that lasts for 14.5 hours—enough and more to partner with you throughout your day and beyond. How’s the processing configuration for day-to-day tasks? Terrific. How about gaming? You might be able to get by with some basic gaming, but the more heavy-duty stuff will require a higher configuration and a definitely a dedicated GPU. Microsoft infuses its grand offering with several options to boost mobility: Cortana, password-free sign in, and omnisonic speakers hidden under the keyboard. Cortana, for those who haven’t heard, is Microsoft’s personal digital assistant who lives to simplify your life. Let’s just say, it does make things handier and more accessible when you use the Surface as a pick-me-up, travel-friendly laptop. Audio-wise, too, the playback is more than satisfactory, making it memorable to play your multimedia content. This pick is luxury, yes; but it is a premium you will be willing to pay if only for the sheer style and grace with which Microsoft has reinvented the humdrum “portable laptop” space. Can you guess how much this ZenBook weighs? All of 2.47lbs, which makes it one of the lightest on this list, doing wonders for portability. It is also among the thinnest on this list with a profile that measures only 0.5”. You can slide it into your backpack in a blink and not feel a thing. What more could you ask from a sub-$1000 laptop? Before you assume that the display is going to take a hit, let us assure you it is not so. You get a Full-HD screen, thin bezel, and touch support. The screen is also wide-view which means you can view it from multiple angles without facing any distortion. This makes it comfortable to use this ZenBook as a work-device as well as a playmate, juggling between professional decks and entertaining videos like a pro. Interestingly, this laptop is also fairly well-connected, with a USB Type-C port, an HDMI port for external displays, a microSD card reader, and 802.11 a/c Wi-Fi. You can, therefore, collaborate with colleagues and share content with peers without breaking into a sweat. ZenBooks clearly have an edge in the 13-inch space, and this one is an affordable, high-performing choice. It can also be a good pick if you are starting with a smaller laptop to test the waters and want to cut down on the spending until you are sure. The last 13” laptop on our list is also the cheapest, for isn’t it always enthralling to know there are ways to save money? 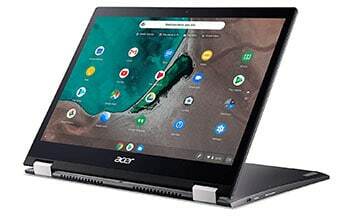 The Acer Chromebook Spin 13 CP713-1WN-53NF convertible laptop might be priced attractively, but it doesn’t cut too many corners to achieve this. Fueled by an Intel Core i5 processor and 8GB RAM, it successfully utilizes the responsiveness and instant-availability of the Chrome OS. With anti-virus protection and automatic updates, this operating system can be wonderfully nifty for mobile professionals who indulge in considerable data sharing. Moreover, this Chromebook looks great too, with its high screen resolution (2256 x 1504), Corning Gorilla Glass protection, IPS panel (In-Plane Switching), and support for Wacom stylus. The screen supports an aspect ratio of 3:2 which helps you read documents more comfortably. There’s less scrolling involved. Chromebooks have a thing for durability—and thank goodness for that. Their closed-up profiles are both stylish and strong, made with lightweight aluminum that is less vulnerable to damage during transit. The 360-degree hinge that you can use to access multiple modes (tablet, notebook, display or tent) has also been rigorously tested for long-term use. While on the go, you can use the USB 3.1 port (Type-C) for everything right from data transfer to video streaming. If you run out of battery, you can also use it to power up. The battery, by the way, lasts for a good ten hours, which should be ample to see you through your work day and even during your travels. This one isn’t a bad pick at all if you are on a tight budget but want a 13” laptop you can fall back on for academic or professional pursuits. Have you managed to arrive at a decision regarding your purchase of a 13-inch laptop? We tried to present a complete panorama of some of the best options in the marketplace, catering to multiple budgets, requirements, and focus areas. If you are looking for an all-rounder that marries wins in size with magnificent performance and display, consider going all-out with the Microsoft Surface Laptop 2 (#8), the latest Apple MacBook Pro 13-inch (#1) or the ASUS ZenBook S13 UX392FN (#4). 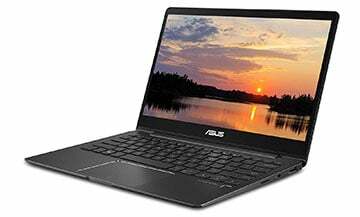 Budget-watchers can delight in the ASUS ZenBook 13 UX331FN-DH51T (#9) or the Acer Chromebook Spin 13 CP713-1WN-53NF (#10)—both of them satisfactory in performance without drilling a hole in your pocket. If your needs are more specialized, say, a long battery life (Dell XPS 13 9380 13-inch Laptop, #2), competitive gaming (Razer Blade Stealth, #7), or a flip-based display (ASUS ZenBook Flip S Touchscreen, #6), you can take your pick from the assortment accordingly. It may be early days yet, but it seems that 13-inch laptops are here to stay. They have managed to capture an optimal spot between their mightier and tinier cousins, emerging powerful and versatile in their own right.